izard, whose real name is Elizabeth, and Spider, whose real name is Simon, are best friends.They know that they can depend on each other. 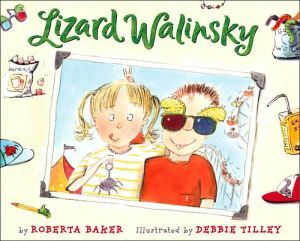 But when first grade starts and Spider has to go to a different school, Lizard doesn't think she can go on without him. Here is a touching story about making new friends-and why true friends will never become extinct. Lighthearted illustrations from Debbie Tilley bring humor to ease those first-day-of-school jitters!